Planet Geo - geography App is a game and information app that tests students knowledge of many countries, dozens of cities, and UNESCO's World Heritage Sites, in eight language. Students are given the option to play up to 6 interactive games. 1. Geo book icon - general information about all countries including population, capitals, flag, national anthem and position on a global map. 2. New York to Paris icon - students are given the chance to test their knowledge on capitals and cities of the world. 3. Maps in a box icon - this will test the students knowledge of which countries fit into certain regions such as Africa, Oceania, Europe etc. Their are three levels of difficulty here. 4. Flag icon - this tests the students knowledge by matching flags to countries. 5. Jigsaw icon - a jigsaw is used to test students ability to place certain countries within a map. There are two levels of difficulty here. 6. Landmark icon - this part of the app test students ability to match UNESCO's world heritage sites with their place and region. There are a lot of activities here, and lots of content contained within the activities, but the focus is primarily on surface-level learning. 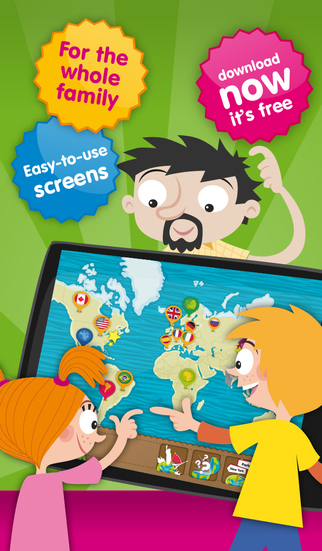 With eight languages options, Planet Geo can also be a good geography app choice for multilingual kids or ELL students, or in a world languages class. 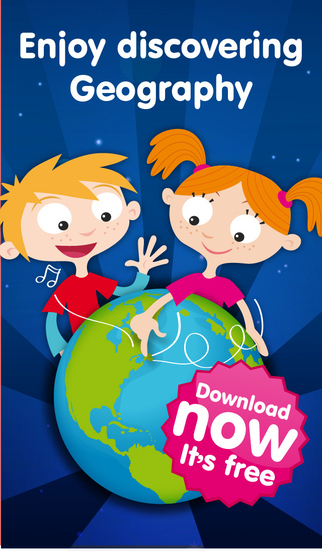 Let your kids become the geography masters! 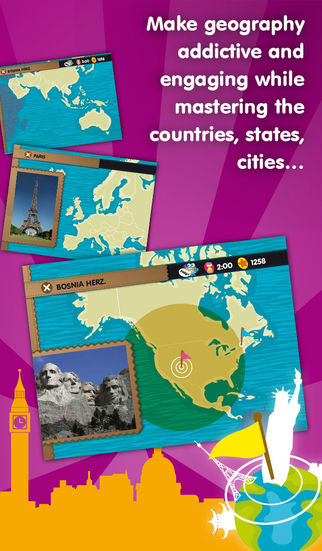 Make geography addictive and engaging while mastering the countries, states, cities, monuments. Look no further - School tested and highly educational! Find cities and capitals across all the continents plus the USA and Canada. Find World Heritage Sites across all the continents. Content for children aged 4 years and above. 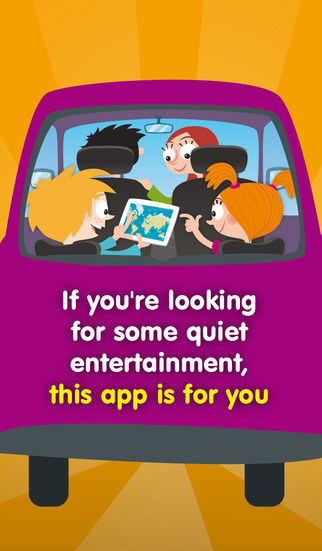 Games for everyone in the family (tested for adults and teenagers too!). Both free and paid content. Universal app for both iPhone & iPad. No ads & with free content! 8 languages: English, Spanish, Portuguese, French, Italian, German, Russian and Catalan. Use it both on and offline.